All our tea tree products are manufactured in the USA under FDA approved facilities and practices. The complete skin and scalp treatment package will provide effective treatment for dandruff, acne, athlete's foot fungus, dermatitis and even prevent head lice. Keep your skin rash free as well as maintain healthy scalp and hair. 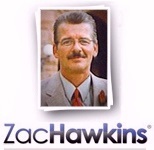 Our styling products have also been known to reduce hair loss if not promote regrowth. New! use the drop down menu below to choose product option specials and save on shipping. One Each FlakeFree 4 oz Zinc Lotion, 8 oz Hair Gel & 8oz Hair Spray. All Formulated With Tea Tree Oil & Natural Herbal Ingredients. Nearly $45.00 If Purchased Seperately. All Three Products Only $29.95! We formulate melaleuca alternifolia into all of our skin and scalp products to enhance the effectiveness of the FDA approved active ingredients. Tea tree oil, (melaleuca alternifolia), has punitive penetrating properties as well as being one of the strongest natural occurring anti bacterial, anti septic, anti inflammatory, and anti fungal agents known. Numerous skin and scalp disorders receive effective relief when formulated in conjunction with FDA approved active ingredients. It just stands to reason when our Flake Free products remain in continual contact with the skin and scalp, they will provide far superior relief than other products which are rinsed off within a matter of moments. After thousands sold, we have yet to receive even one bottle of FlakeFree returned from a dissatisfied customer. That speaks volumes to it's effectiveness. Our entire staff, along with our families use the Flake Free products, as well as recommend them to our personal friends. We have even had some ask if they could buy them by the case! 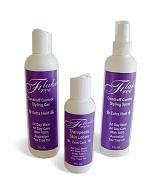 I personally give our Flake Free line my highest recommendation for complete skin and scalp therapy.